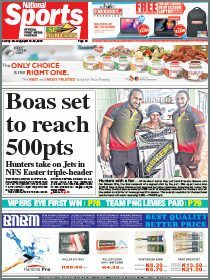 PRIME Minister Peter O’Neill says the Government remains committed to ensuring that the assets of the PNG Sustainable Development Program are protected and safely delivered to the people of Western. “We have said all along that all assets under the care of PNGSDP, including the US$1.3 billion (K4bn)long-term fund in Singapore, belong to the people of Western province and PNG,” he said in a statement. “We have begun a process to have these assets returned to their rightful owners, and to be utilised for their direct benefit. “Despite efforts by individuals with vested interest to frustrate and hinder the process we have undertaken, I am delighted that we have made a lot of progress. He welcomed media reports that Sir Mekere Morauta was open to a speedier resolution outside of the court process. “I welcome this gesture and I am always available for talks. It is not my practice to shut the door on anyone,” he said. O’Neill said the Ok Tedi Mine was a unique case, which the Government had to pursue in this manner. 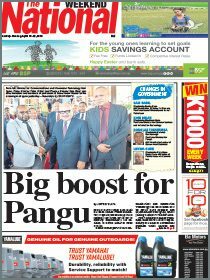 Sir Mekere said last week he was open to resuming talks with O’Neill on the PNGSDP’s future.